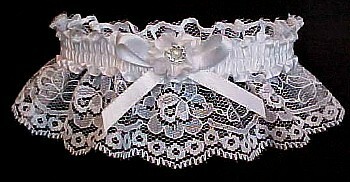 Double Hearts Garter - Gold Beaded Rings Garter - White Wedding Bridal Prom Garters. 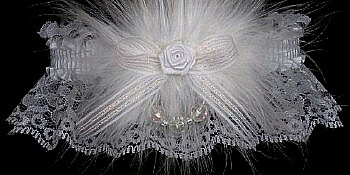 Target: Glam and Style. 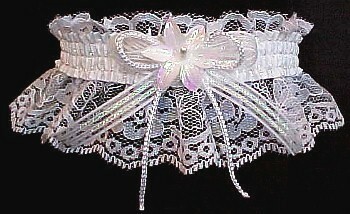 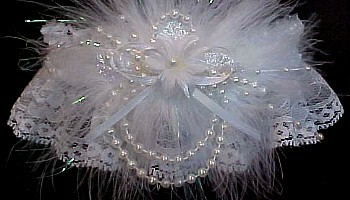 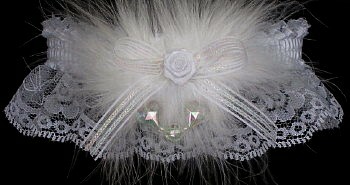 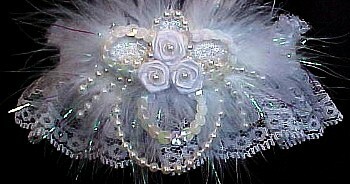 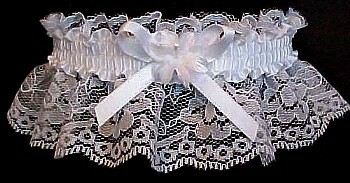 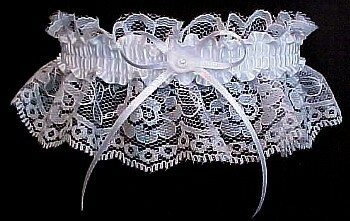 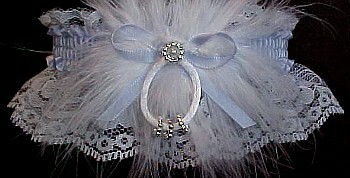 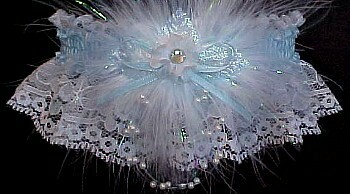 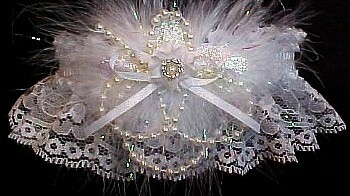 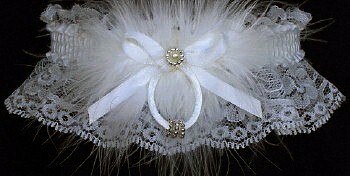 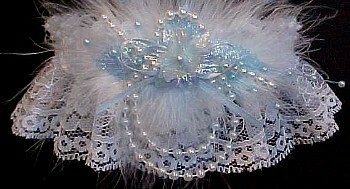 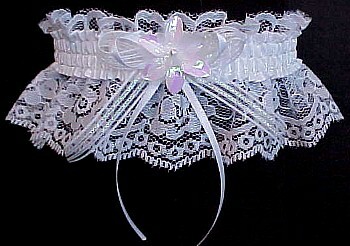 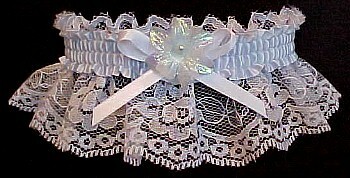 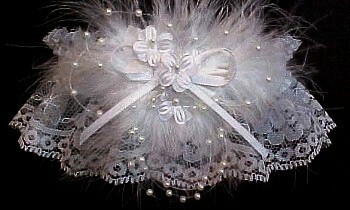 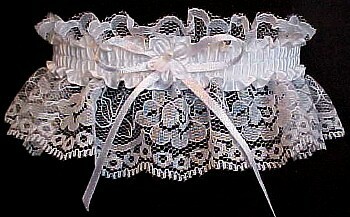 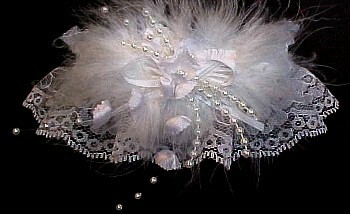 White Double Hearts Bridal Garters or Crystal Aurora Borealis Hearts Wedding Garters on white lace with or without Marabou feathers.